A bridal shower slideshow uses pictures of the bride and/or couple to tell a story. This can be an extensive timeline starting with baby pictures, or an assortment of recent pictures with their own tale. It is a great way to add an extra special feel to your bridal shower plans. A video or movie comes to mind when you think of this concept. There are other ways this can be done. Look over the tips below, then see which works best for your event. • Collect an assortment of photographs. You can go back as far as you want, or are able. Select baby pictures, then go through the school years, add friends, and continue up to the present day. This can be done for just the bride, or for the bride and groom. • Perhaps you don't have old photos, then tell a story with newer ones. Show pictures with friends, recent trips, coworkers, and others that apply. Again, this can be done for the bride only, or the bride and groom. • A third direction to go is pictures of the couple since they met. You can show any dating pictures, holidays spent, friends in common, and vacation photos. • Posters: just glue or tape pictures to poster board, and hang around the room. If you only fill one poster board, display it on an easel in a prominent place. 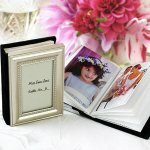 • Photo album: just purchase an album, and add pictures in the order you've chosen. create your own bridal shower slideshow by taking pictures the day of the shower. Print them out on the spot, and add them to your album. This now becomes a special keepsake for the bride or couple to take home. 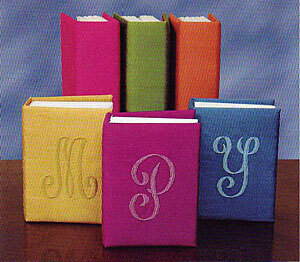 • Make a scrapbook: assemble in a book with cute sayings. Scrap booking is very popular. Chances are, you or someone you know, enjoys this hobby. This is a great way to go. • Computer: Have your bridal shower slideshow pictures uploaded to your computer. Place the computer on a table. Let it run repeatedly, so that all guests at the shower can have a chance to watch. • Projector: you may decide to use a projector. At some point during the shower, this is part of the entertainment, like watching a movie. An alternative, is to keep it continuously playing on the wall. • Television: if you're having your shower in a private home, you may want to block out time to show the dvd you've compiled, right on your tv. • Would you like more ways to personalize the bridal shower? • Go from slideshow page, back to bridal shower ideas for you homepage.